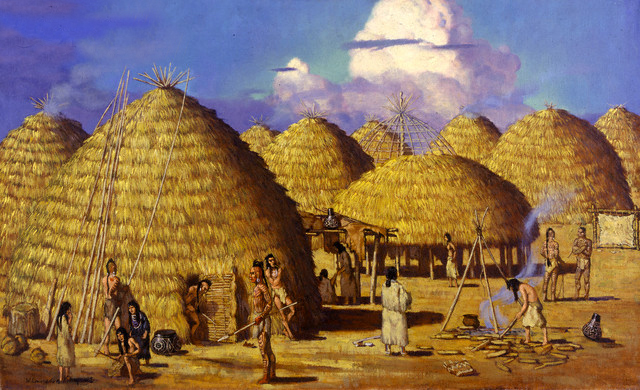 Caddo village with beehive-shaped grass houses; illustration of Caddo life by W. Langdon Kihn, 1942 / National Geographic Society/Corbis. Photo by Robert and Talbot Trudeau/Flickr (Noncommercial Use Permitted with Attribution). In the 1540s Spanish explorers took "teyshas" to be a tribal name, recording it as Teyas or Tejas. Eventually this came to mean an area north of the Rio Grande and east of New Mexico. The alliance concept is also incorporated into the state motto of Texas, which is simply "Friendship." Texas USA (public domain image). 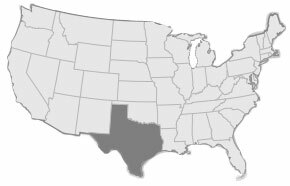 Add Media for Origin of "Texas"